We have a 26' Hourston Glascraft. 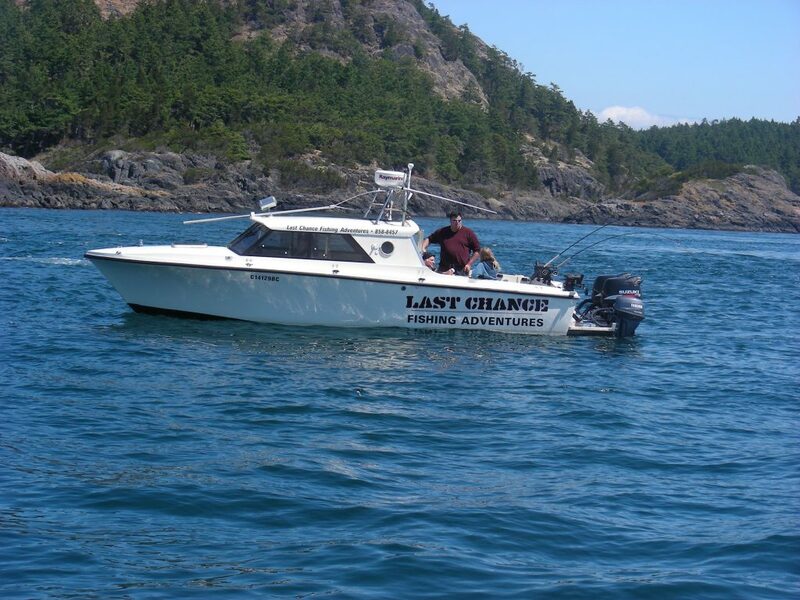 The boat features a stand up head (toilet), heated cabin, dual GPS/Radar/Fish Finders, AIS, Electric Downriggers, and the latest in Sport Fishing tackle. A pair of 4 stroke 140HP Suzuki engines gets us to the fishing hole fast, and the Yamaha kicker ensures a smooth quiet troll. For parties of more then 5 guests, we will hire additional boats for you. All of our engines, electronics and fishing tackle are serviced on a regular basis to ensure we are fishing, not fixing. This boat can accommodate up to 5 passengers, however 4 is recommended. If you have a larger party, it is best to ask for an additional boat to ensure everyone enjoys their outing. Kelly will arrange another hand picked boat and guide for as many people as you want!